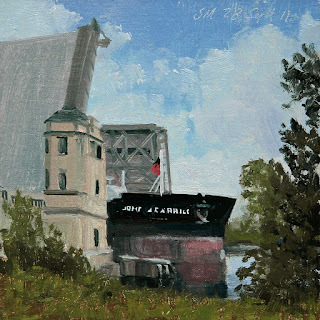 Today's daily oil painting is a view of the John J. Carrick passing thru the Fort St drawbridge on the Rouge river. 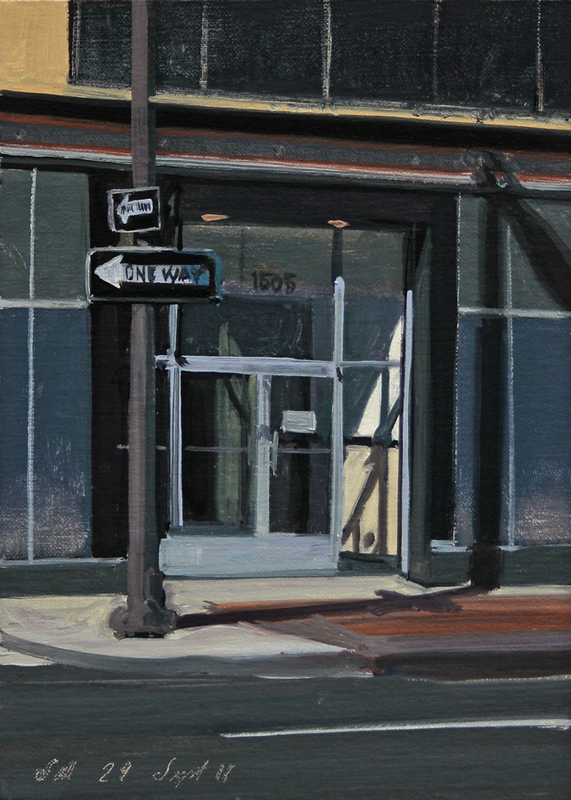 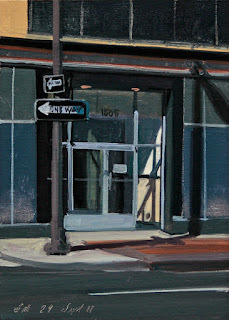 Today's oil painting is a view of the SOHO corner at Crosby and Grand. 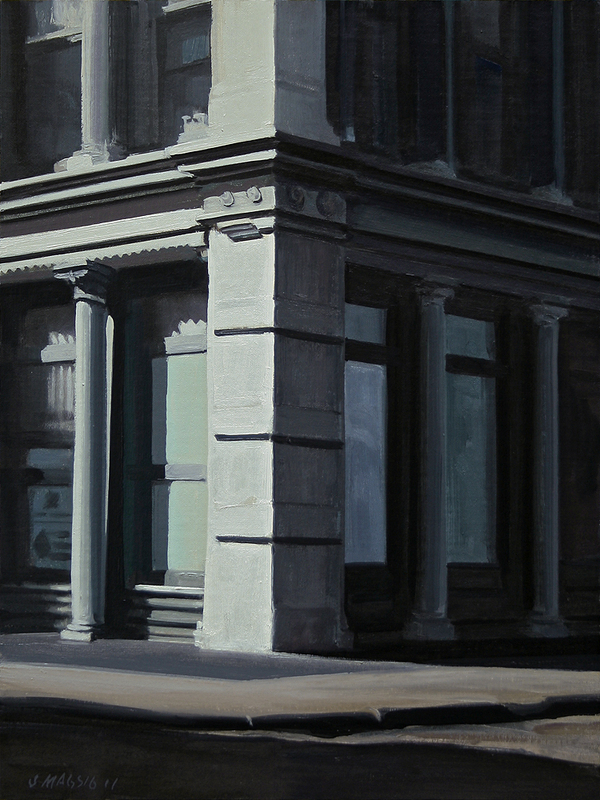 A larger painting for a show this fall, More Real Than Real; Realism from the USA and Canada, at Peter Walker Fine Art in Adelaide, South Australia. 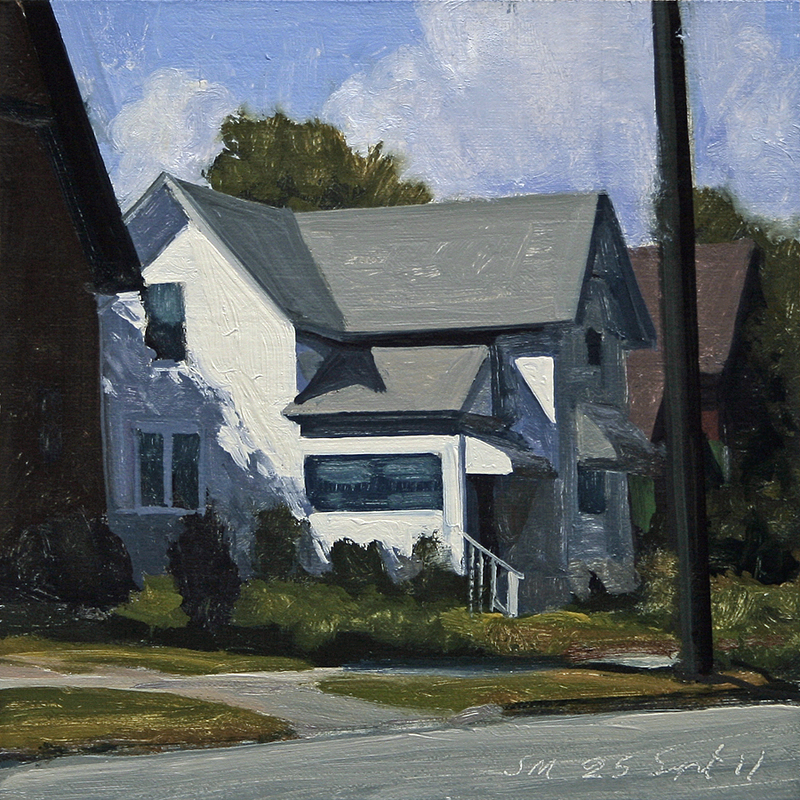 Today's daily oil painting is a view of a sunlit white house with awnings and foreground pole on Detroit's Southeast side. 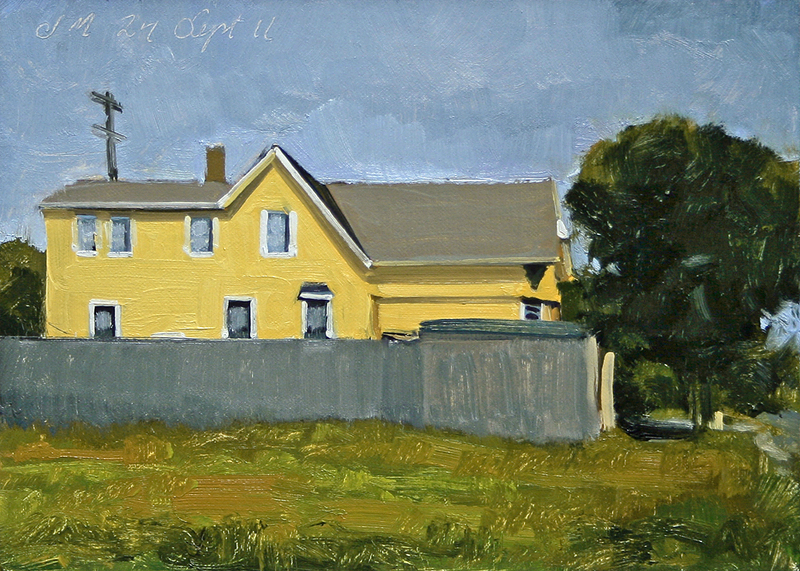 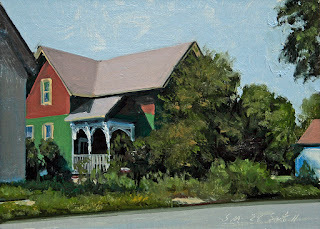 Today's daily oil painting is a view of a Naples yellow house behind a wooden fence on Detroit's Southeast side. 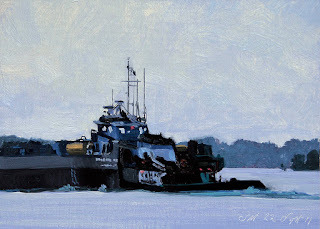 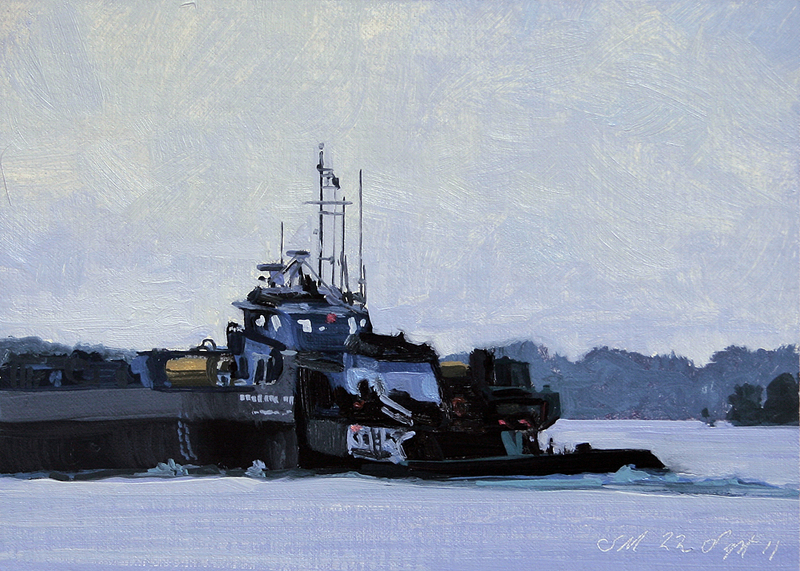 Today's daily oil painting is a view of the tug Spartan and it's Barge Spartan II out of Ludington, MI upbound in the Detroit river in early morning light off Belle Isle.